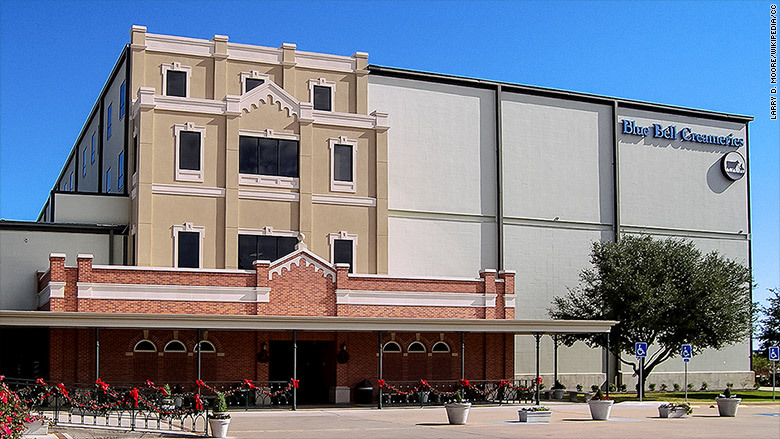 Blue Bell Creameries has expanded an ongoing recall of ice cream after a serving produced at a facility in Oklahoma tested positive for listeria contamination. The company said Tuesday it is recalling pints of Banana Pudding Ice Cream and other products that were made at its facility in Broken Arrow, Okla., which was shut down last week "out of an abundance of caution." The recall also covers six flavors of ice cream made at the plant that can be identified by their code date. (More information can be found here). The flavors include butter crunch, mint chocolate chip, cookies 'n cream, homemade vanilla, dutch chocolate and moo-ilennium crunch. 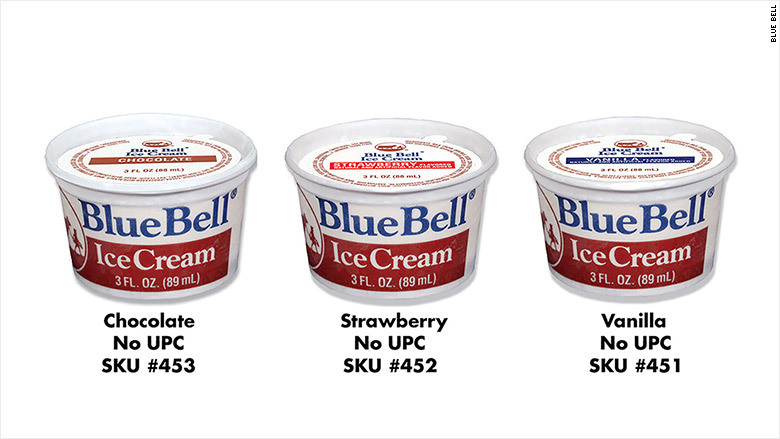 In addition, Blue Bell is recalling 3 oz. cups, pints and quarts of sherbert, in flavors such as rainbow, orange and mixed berry. It's also recalling a few half-gallon sizes, including pistachio almond, homemade vanilla and homemade vanilla light. Blue Bell said it shipped the products to grocery stores and markets, as well as food service companies, in more than 20 U.S. states. The ice cream maker said the products "have the potential to be harmful to young children, frail or elderly people, and others with weakened immune systems." Healthy adults are at risk of short-term symptoms such as fever, headache and diarrhea, among other things. Listeria infection can also cause miscarriages and stillbirths in pregnant women. Last week, the Centers for Disease Control and Prevention warned consumers not to eat any Blue Bell-branded products made at the company's Broken Arrow plant. That includes 3-ounce servings of Blue Bell ice cream from this plant that went to institutions in containers marked with the letters O, P, Q, R, S or T behind the coding date. The warning does not affect other Blue Bell ice cream not made at the plant. But Blue Bell has recalled other products. It is the fourth time Blue Bell has taken action in light of a listeria outbreak at a Kansas hospital that served the company's ice cream. Blue Bell has said the recall "in no way includes Blue Bell ice cream half gallons, pints, quarts, 3 gallons or other 3 oz. cups." This has been the first product recall in the 108-year history of Blue Bell Creameries, according to the company. -- CNN's Ben Brumfield and Catherine Shoichet contributed to this report.